Did someone say CHOCOLATE?! We did! It's back! 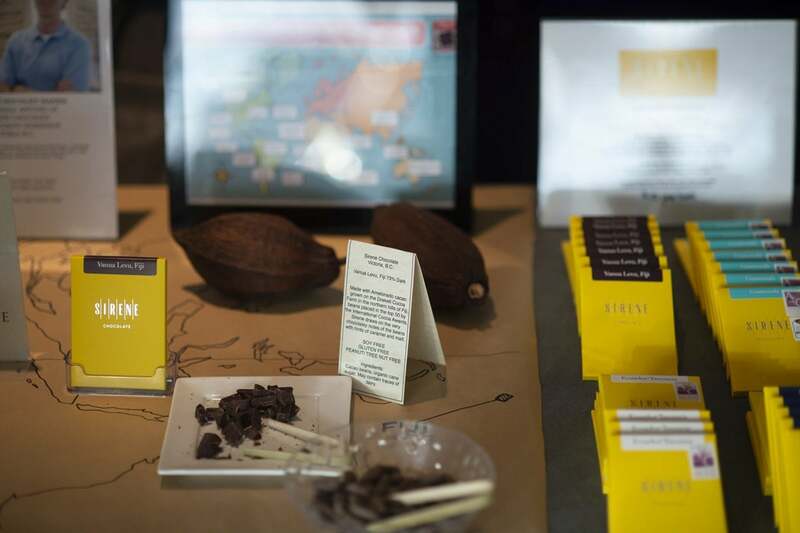 Our Chocolate Affair Gala is taking place on Saturday, May 11th, 2019. Buy your tickets today & celebrate 50 years of service with us! Tickets are going fast, don't delay!! Oh, did we mention CHOCOLATE! Boasting a four-course chocolate infused dinner, entertainment, sweet chocolate treats by local chocolatiers including Alicja Confections, Bisou Dates & Chocolates, Fruit Couture, Hummingbird Chocolate and JoJo CoCo, a silent auction and a raffle draw with amazing prizes! New this year - a dance floor with an incredible DJ! A chocolate fountain will be flowing with delicious fruit to dip! 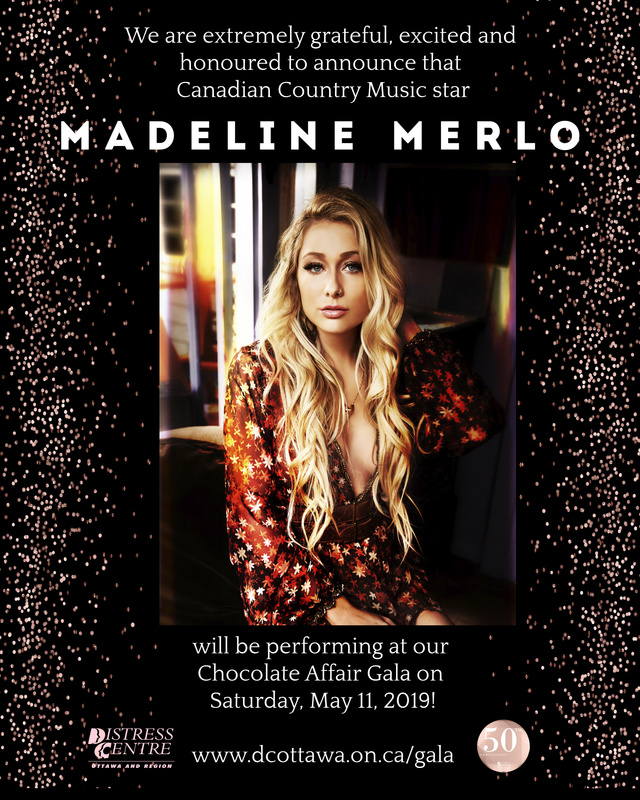 Also, a live, special appearance by Canadian country music star, Madeline Merlo! 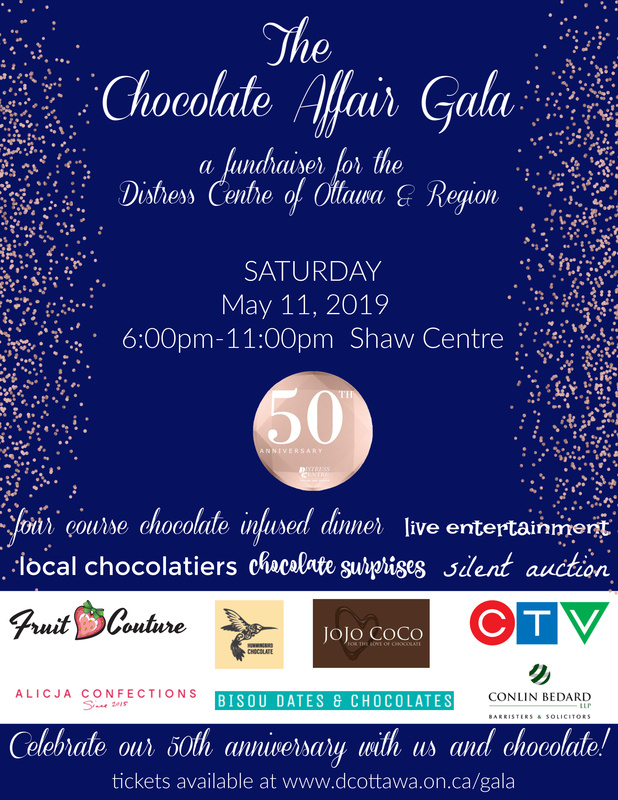 Taking place at the Shaw Centre in downtown Ottawa in the gorgeous Trillium Ballroom overlooking Parliament Hill and the Rideau Canal, the views combined with all of the chocolate will surely be a night to remember! The Distress Centre is celebrating 50 years of service in 2019, so your attendance will be a part of our history! A special thank you to our Chocolate Fountain sponsor, Conlin Bedard LLP. 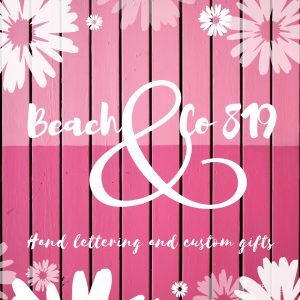 A special thank you to Beach & Co 819 for sponsoring our event. We would like to thank Richardson GMP for their gift bag sponsorship!